Hungerford is a historic market town in Berkshire, 8 miles west of Newbury and 29 miles northeast of Salisbury. The Kennet and The Avon Canal pass through the town from the west. Amenities include schools, shops, cafés, restaurants, and facilities for the main national sports. The railway station is a minor stop on the London to Exeter (via Taunton) Line. Hungerford is well known for its antique shops and antique trade with many antique and collectables markets occurring throughout the year. 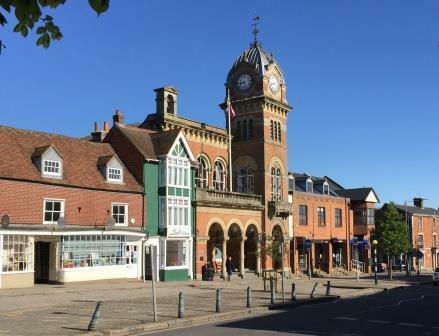 Hungerford is a popular destination for tourists enjoying the scenic beauty of the area and the historic buildings within the town. Hungerford is on the River Dun and is the westernmost town in Berkshire, on the border with Wiltshire. It is in the North Wessex Downs Area of Outstanding Natural Beauty. Hungerford Corn Exchange lies directly on Hungerford High Street in the Town Hall. There is often a street market outside attracting locals and tourists to the area around the Town Hall. The Corn Exchange has been successfully used for Craft and Gift Markets in recent years, however Mynt Image will be the only organisation to use the hall for Craft and Gift Markets in 2019. We believe that this venue will be successful throughout the year appealing to tourists as well as the local community. There will be 30 tables/stalls. Tables will be provided at this venue. 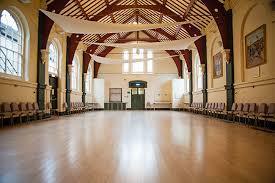 For help finding the venue please visit the 'Finding the Hungerford Corn Exchange' page by clicking here!